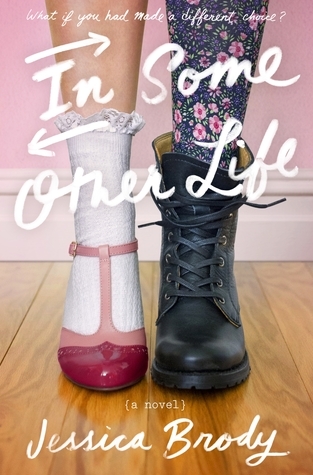 In Some Other Life is a story that dives into the what-ifs of life, how your life could have been changed if you had taken a different path. Kennedy is quite the over-achiever in all aspects of life. She is smart and extremely driven, but a little flawed in her perception of those around her and her relationships. She turned down a chance to go to the private school of her dreams to explore a relationship with a longtime crush. Though she made quite the life for herself at school with her boyfriend, friends, and of course the school newspaper that meant so much to her over the years, she was still a little obsessed with the school left behind and what could have been. When things go wrong, a hit on the head seems to transfer her into a parallel world that shows her exactly what she was missing. I really love the message of this story. When times get rough in life and you find yourself at a crossroads, it is hard not to consider all the what-ifs and fill yourself with regrets with the choices that didn’t work out how you hoped. And I remember how significant those what-ifs felt when I was a teenager. In Some Other Life allows us to explore the what-ifs with Kennedy and how the butterfly effect can take hold with one change rippling into all aspects of your life. Her new reality appeared to be everything she hoped for on the surface but underneath she discovered just how wrong she could have been about everything. Kennedy had to learn how to accept her decisions, and even though things may seem to be going wrong, something wonderful could be on the horizon. I didn’t find Kennedy to be the most relatable of characters for me. She was a little over the top at times but nevertheless I really enjoyed the journey she took. I felt some of the secondary characters were well done as well, especially her little brother and Dylan, who she meets at the private school. Even though this book is 400+ pages, it was easy to get through and a quick read. I didn’t feel any confusion with the explanation of the multiverse we are introduced to either. And though the plot was quite predictable, I really had fun with it and loved how it all came together. I am really looking forward to this one. There were these two TV shows I loved, one was Being Erica and the other was Hindsight. They both played with this theme, and there are just so many wonderful possibilities for this type of story. I love books with this sort of concept. You don’t see many of them so it’s always kind of cool to come across one. 400 pages is a LOT. I love longer contemporaries like Morgan Matson’s but if Kennedy was a little too over the top I might get slightly annoyed with her haha. This does sound interesting though! Contemps definitely run shorter than that most of the time, for sure. I don’t mind if the pacing works though! This looks like a really cute story!